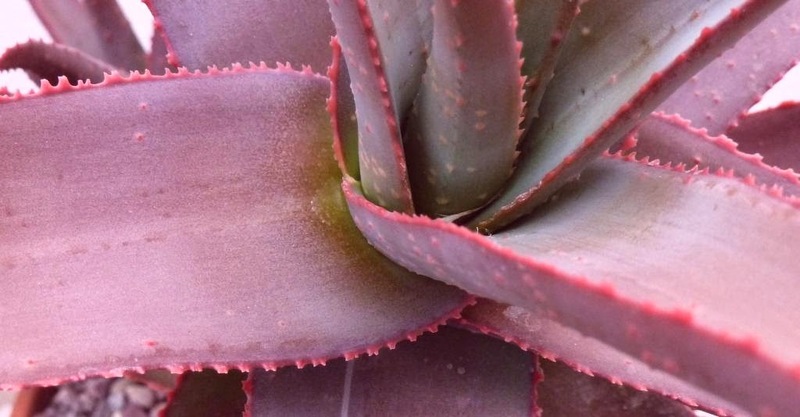 It was going to be another plant, photos taken all ready and then in the green house this evening the aloe purple flush was glowing. It has been shouting for attention over the last few weeks and just keeps getting better. It seemed cruel to keep it waiting any longer. Sadly it is not one I know much about at all, if anyone reading this knows anything about it please comment as I would love to know more. The photos don't do the colour justice, for part of the year is a great purple. Not the hint of purple some plants do, but full on purple. This year for some reason instead of going back to green it has held the colour since spring. 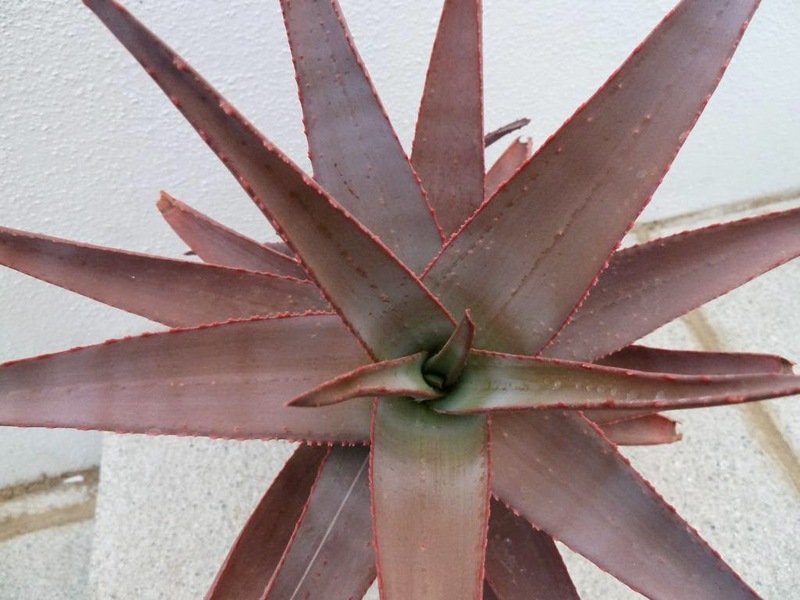 The other thing that makes the plant stand out are the teeth along the leaf edge. There is a fine line of teeth along the edge, often these are doubles. They are bright red and look surprisingly good against the purple. The leaves themselves are quite thick and stand out proud to the plant. The whole plant has a good robust look to it. Sadly it is not a big offsetter, mine has produced one offset in 5 years, which could explain why you rarely see it for sale. Give the lack of spares I haven't test its hardiness yet and it is brought inside over winter. I am guessing it wont be at all hardy. So there there you have aloe purple flush, my favourite plant this week, if you see one snap it up, you may not find it again. To see other peoples selection head over to Danger Garden blog to see what Loree and others have selected. Sadly in the Uk there are very few nurseries that sell succulents and even less that are capable of naming plants. The one that may be able to is where it came from which is why I think the name is good. Gorgeous plant! Stunning colour. You could always use the offset as a guinea pig in an outdoors hardiness test. Seems mean though. That is a beauty! 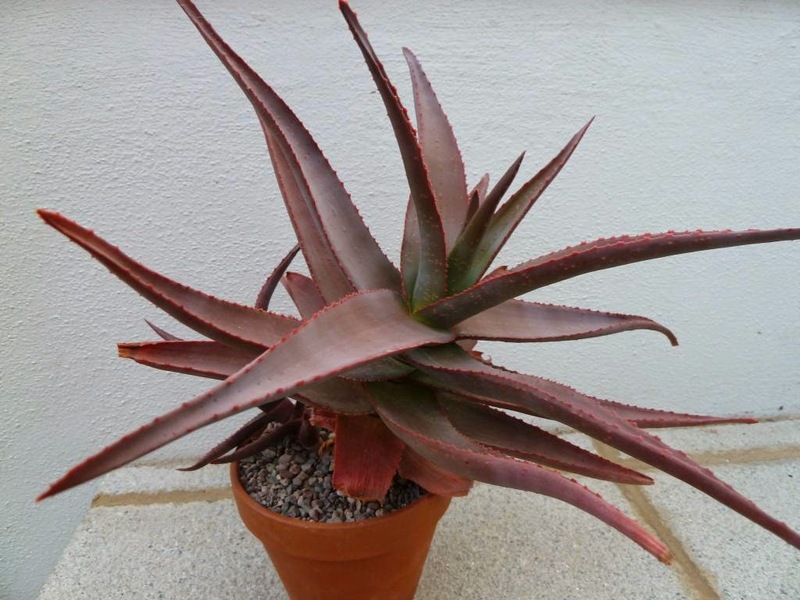 At first I thought it looked a lot like Aloe capitata var quartziticola but the teeth are obviously different. Also I'm glad to read you changed up your "fav" post like you did. That's kind of the whole idea behind the thing, to share THAT plant, the one you want to go drag people in off the street to see. The shape is very similar, shame the teeth are so different. Time to cut up some plants. Should I go big , or go risky?